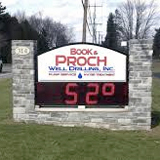 Book and Proch has provided high quality water services to Western Pennsylvania and Eastern Ohio. We are a full service well drilling and water treatment company providing innovative and cost controlled solutions for Residential, Commercial, Industrial, Municipal and Agricultural customers. Residential - Our qualified and highly trained technicians and drillers provide a full line of water related services including site selection, well design, drilling, pump installation, repair and maintenance. We offer a full line of well equipment and water treatment systems. Municipal, Agricultural, Industrial, Commercial - Book and Proch provides services for the development of high quality water systems using state of the art technology and equipment for groundwater system protection and management. As a full service contractor we can design, construct and maintain high volume Municipal, Industrial, Commercial and Agricultural systems. Geothermal - We offer a wide range of geothermal services for both open and closed loop systems. Services include drilling, loop installation, and loop flushing for vertical, horizontal and pond systems. In addition, for open loop systems we provide pumping and drainage solutions. 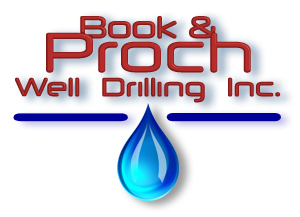 Copyright © 2009 Book and Proch Well Drilling Inc. - All Rights Reserved.